Imagine you're driving down the highway and, suddenly, you hear in the distance the sound of an accelerating engine. You look in the rearview mirror and see a gorgeous machine approaching from the distant horizon. You are wishing to be overtaken to admire it and, when it does, you see a Pagani Huayra showing off her subtle but impressive curves... WOW!!! Well, here at SpotModel it feels exactly like that, anxiously waiting and looking forward to the arrival of this Italian beauty scale model by Aoshima to behold her. Because we are really confident that the kit will be as interesting as those all other supercars released by Aoshima. 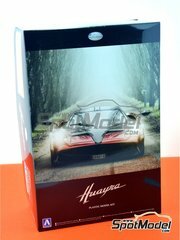 And you know, before going to the car dealer for your Huayra... don't forget to preorder your kit at SpotModel!! A superb scale model of this Italian beauty, the Pagani Huayra, made by Aoshima. 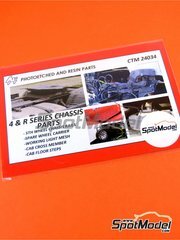 The kit includes a fully detailed interior, fully working doors and bonnet, detailed monocoque, fully detailed engine, ... Delicious !!! 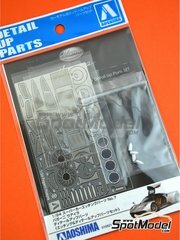 Set of photo-etched parts, chromed stickers and turned metal parts for detailing the gorgeous Pagani Huayra kit by Aoshima. 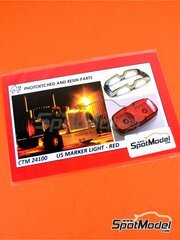 Photoetched position lights with a red resin dip. 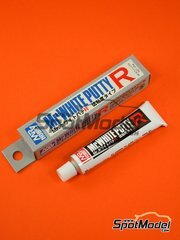 Mainly used in American trucks, but also in vans and tuned cars. 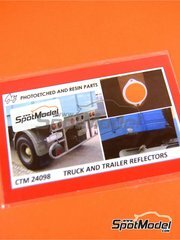 Photoetched reflectors in red color, used in trucks, vans, trailers, cars and bikes all around the world and in every period. 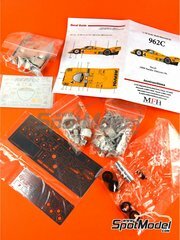 New re-edition of the MFH 1/43 scale model kit of the Brun team Porsche 962. 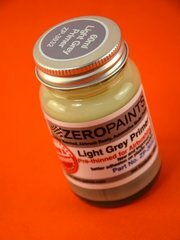 New light gray primer, with a formulation revised and improved by Zero Paints to achieve finishes with higher quality, coverage and grip. Served ready for airbrush use in 120ml bottles, and recommended to primer your models and plastic parts. 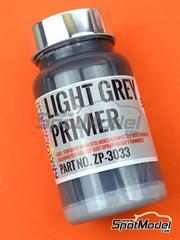 New light gray primer, with a formulation revised and improved by Zero Paints to achieve finishes with higher quality, coverage and grip. Served ready for airbrush use in 60ml bottles, and recommended to primer your models and plastic parts. 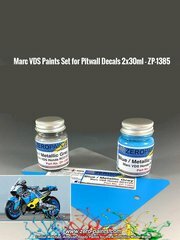 Paint set specifically formulated to match Pitwall Marc VDS team decals. Contains two 30ml bottles. 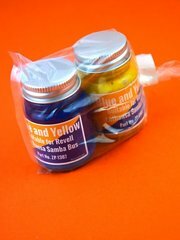 Paint set specifically designed to be used with the VW Lufthansa Samba bus van by Revell. The pack contains two 30ml bottles. 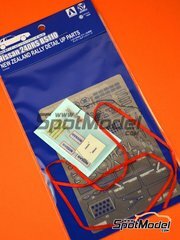 A very interesting improvement and detail set for the Nissan 240RS. Have you noticed the bracketless photo-etched parts? Awesome!! 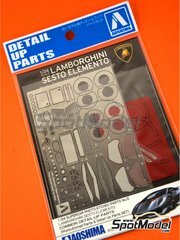 Set including photo-etched parts, metallic badges, and seatbelt fabrics for recreating the harnesses of the Sesto Elemento. 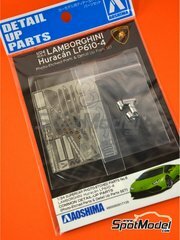 Set of detail-up and improvement parts for Aoshima's Huracan, including one classic photo-etched parts sheet, several mechanized parts for exhaust pipes, a sheet of chromed metal parts, and another photo-etched parts sheet printed in full color. Amazing!!! 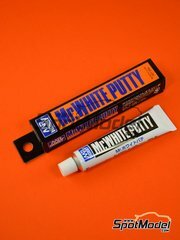 Low viscosity white putty, perfect for small hole and scratch filling jobs in your plastic kits. 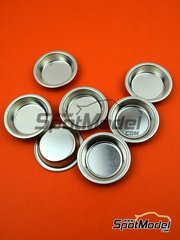 White color putty, perfect for filling holes, plastic injection mistakes in your models, cracks,, ... Once applied, wait until completely dry before sanding and painting. 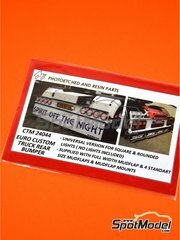 Photoetched parts set for recreating the rear bumper, skirted or unskirted, just like it is used in many European trucks. Spectacular kit with an extensive parts break up of the Team Roberts Yamaha, racing with number 49 at the 1989 Belgium Grand Prix. 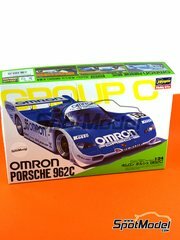 Time limited re-edition of the Hasegawa Porsche 962 with Omron decoration, winner of the 1989 Fuji 1000km. 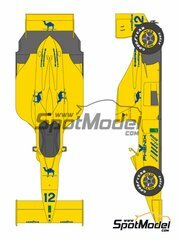 Decals with Camel logos for Tamiya Lotus 102D, just like it raced at Japan in 1990. 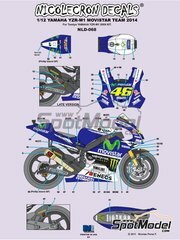 The bike of champions, the Yamaha YZR-M1 that Lorenzo and Rossi rode to the red line during 2015 season, now with the decoration meticulously recreated in this decal sheet to be used on any of the Tamiya kits of the 2009 YZR-M1. 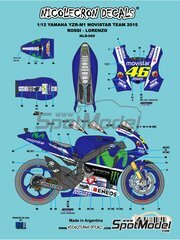 The bike of champions, the Yamaha YZR-M1 that Lorenzo and Rossi rode to the red line during 2014 season, now with the decoration meticulously recreated in this decal sheet to be used on any of the Tamiya kits of the 2009 YZR-M1. 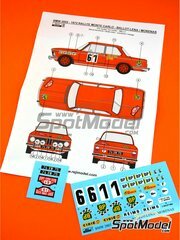 Decoration for the BMW 2002 tii originally designed for the Welly diecast, but can also be used perfectly in your models. 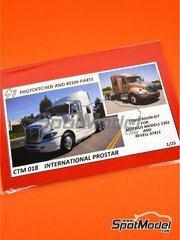 Improve the chassis of your Scania R and 4 series trucks. Includes spare tyre rails, auxiliary light grid, and different grids for the walking areas of the cabin.